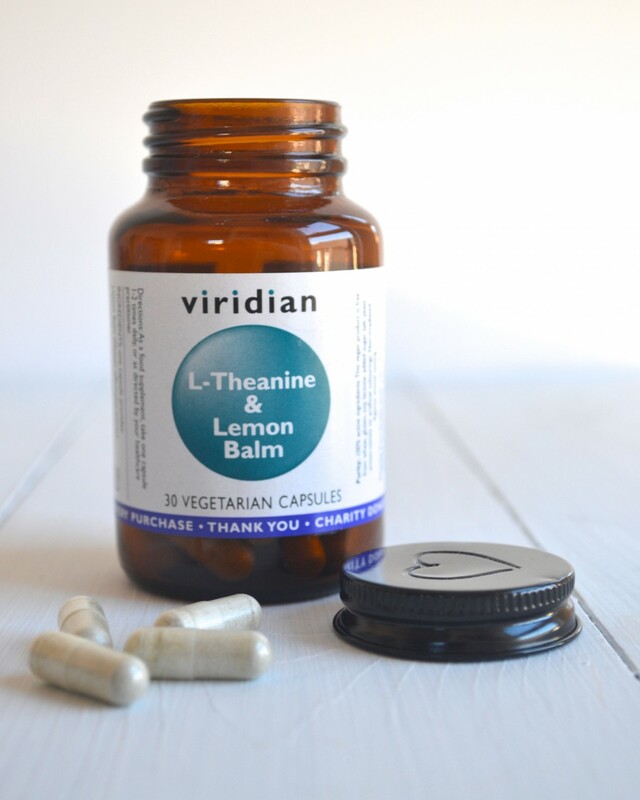 When I received an email asking me to review Viridian L-Theanine & Lemon Balm for the Nutrition Centre, I hadn’t heard of it before so I quickly looked it up on their website. 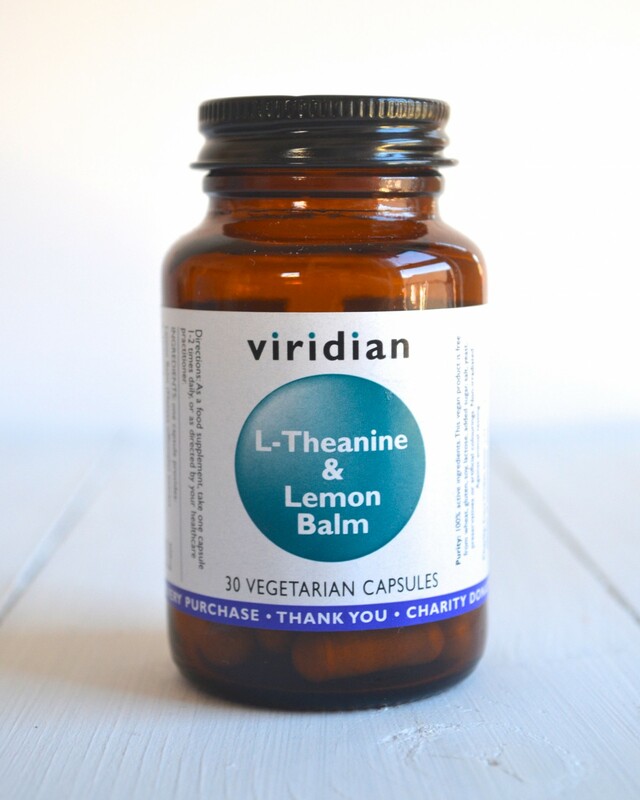 Viridian L-Theanine & Lemon Balm is a supplement that has stress relieving properties and helps to reduce anxiety. It has also been shown to benefit individuals suffering from restlessness, insomnia, poor concentration and brain fog. Due to my illness, Postural Orthostatic Tachycardia Syndrome, I suffer from all of those symptoms. 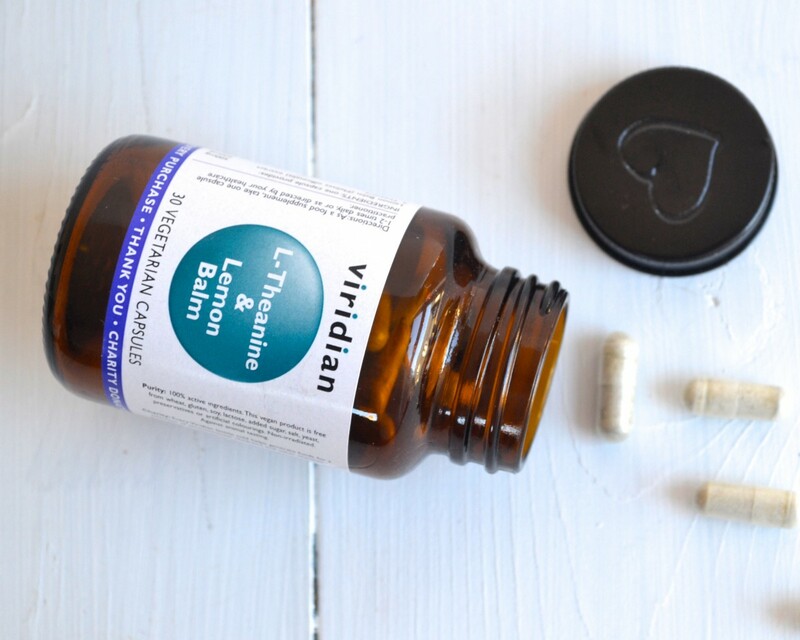 I have tried a lot of different things to help with the insomnia but nothing has ever made much of a difference, so I was keen to try the Viridian L-Theanine & Lemon Balm to see if it made any difference to that or any of my symptoms. Theanine (200mg) is a water soluable amino acid and a constituent of green tea. Lemon Balm (300mg) is a perennial herb in the mint family Lamiaceae. I started taking the supplement at the beginning of December and I take one tablet about an hour before bed. I don’t take it every night, but on the nights when I feel particularly anxious/stressed. I would say that within about an hour of taking it, I definitely feel slightly calmer and more relaxed. I have very bad insomnia so it’s not had any impact on that, but it really helps take the edge off all of the worries I have about getting to sleep, or general worries I have that seem to crop up when I get into bed. Viridian L-Theanine & Lemon Balm is also known to protect the heart and cardiovascular system. 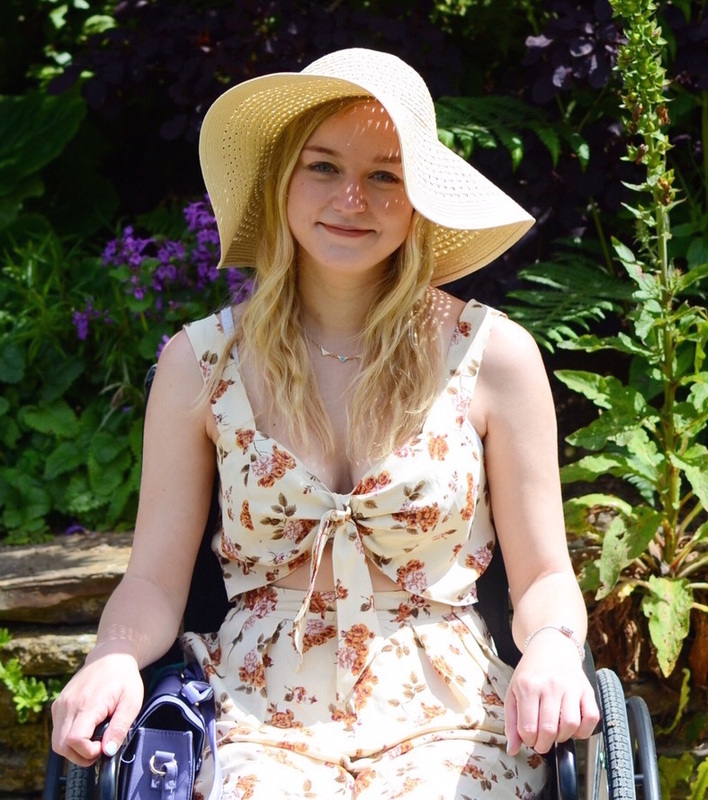 I have a very fast heart rate due to my illness so it is nice to know that I am taking something natural that is helping to look after my heart in some way. The supplement can be used twice a day so I am planning on starting to use it in the morning too to see if it helps to reduce my brain fog. In healthy users it has been reported to increase memory and learning capacity so I want to see if that is the case for poorly individuals too. I hope so! I did not experience any side effects from Viridian L-Theanine & Lemon Balm. 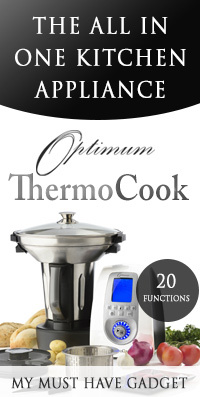 Note: This product was sent to me by The Nutrition Centre in exchange for an honest review. I have stayed true to my word and all opinions are unbiased and my own. So far I have found L-theanine to be wonderful! Coming off gabapentin had really mucked up my sleep and I was finding it hard to get to sleep. Since taking it, I have been falling asleep much easier and it has really helped to improve the quality of my sleep. I use a Fitbit Flex to track my progress as I try to improve my health and it also tracks your sleep. I have went from being restless pretty much all through the night (anywhere up to 20 times) to sleeping much more solidly (only restless around 2-4 times now and I’m getting longer periods of sleep. I’m also not necessarily waking up when I am restless, which is amazing). I think sleeping better is having a positive impact on my health. I don’t know if it’s working in synergy with the herbs I take or whether it’s through the supplement alone but I noticed a difference right from day 1. I take 200mg of l-theanine each evening. Thank you! 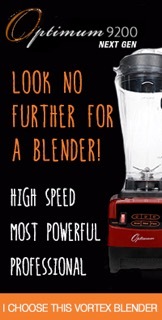 Oo thanks for introducing this, I will definitely try it out and keeps my fingers crossed that it does some good! I was suffering with post tramatic stress. I couldnt focus or strung a sentence some days. Jump out of my skin at the slightest thing and shake. These help me so much still on them but wow twn times better just tiredness now but working on that to.